Is My Cat Sick? - Petpav - Your Online Magazine for All Things Pet! Unlike dogs, cats have a tendency to hide their illnesses and it is sometimes hard to figure out what is wrong. When my cat, Sammy, is sick, he usually doesn’t eat. However, each cat is different and reacts differently according to what illness he or she may have. Most cats tend to have a very clear feeding pattern, so any consistent changes are usually due to some medical condition. We rarely see cats drinking a lot of water, so when it becomes obvious that they’re more interested drinking it, it’s important to closely monitor how much urine they’re producing in the litter box. (Meaning, if you notice you’re cleaning your litter box more often, your pet is probably drinking more.) Changes in water in (or out) are often the first indication of many common diseases, including diabetes and kidney disease. Cats may urinate or defecate out of the litter box due to a variety of issues, including urinary tract infections or inflammations, renal disease, diabetes, etc. 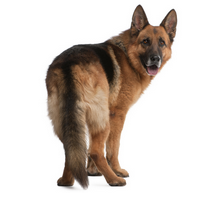 It can also be a sign of arthritic pain or difficulty getting in and out of the litter box comfortably. A decrease in your cat’s activity could be due to internal discomfort, illness or arthritic pain. On the other hand, an increase in activity can also be related to some metabolic changes such as hyperthyroidism. Cats are generally social creatures, so a change in the level of interaction with their owners or other pets can signal disease, fear, anxiety or pain. Most cats will nap between 16 and 18 hours each day. Consistent changes from this pattern may indicate a variety of illnesses. If your cat suddenly loses a lot of weight, it can be a sign of hyperthyroidism, diabetes, pancreatitis and many other conditions. Obesity, on the other hand, can cause an increased risk for diabetes and joint disease. Patches of hair loss or a greasy/matted appearance may suggest there is an underlying problem. Cats that have difficulty grooming often suffer from obesity and joint disease, while excessive grooming may indicate skin disease, anxiety and other compulsive behavior. Stressed cats may have difficulty socializing and may hide more, or spend more time scanning their environment. Sometimes this behavior can be related to physical diseases. Any increase in vocalization can suggest high blood pressure, pain or anxiety. Bad breath is the earliest indication of dental disease. Current studies show that about 70 percent of cats over 3 years of age have gum disease. Gum disease is a source of inflammation and infection to the rest of the body, so it’s important to have your cat’s teeth cleaned regularly. While this is a long list of signs and/or abnormal symptoms, only you know your cat. If any of these symptoms last longer than a few days, it is best to go to your Vet. Hope this helps! Join Petpav.com!